The many benefits of juicing answers the question, Is juicing good for you?” with a resounding “Yes”! 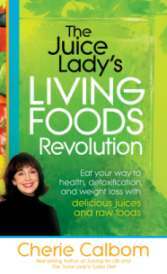 The Juice Lady's Living Foods Revolution. Here is what she had to say about juicing. RFDM: What are some of the specific benefits of juicing? Cherie: With vegetable juicing, people often report the following: a stronger immune system, more energy, weight loss, water weight loss, better moods, lowered blood pressure, lowered blood sugar/controlled diabetes, better cognition, skin improvement and a healthier appearance, shinier hair, better sleep and improved regularity. RFDM: What are the benefits of juicing fresh, organic vegetables? Cherie: Organic versus conventional means fewer pesticides, hence less toxicity. RFDM: What are the benefits of juicing fresh fruits and vegetables over eating them? Cherie: When you juice, the produce is broken down into a very digestible form that is easy to absorb. Many people have reported that they weren't absorbing nutrition from their food; it was passing right through them. When they started juicing, their health made a dramatic improvement because they could absorb the nutrients from the juice easily. Juice is therapeutic because the body doesn't have to work hard to break it down. It's also loaded with enzymes so it spares the enzyme- producing organs. The pancreas and small intestine also make protease and lipase, which digests fats into fatty acids and gycerol. It's also easy to consume and allows people the chance to consume many more vegetables than they would normally eat. Also, many parts of plants they would probably throw away, such as broccoli stems,asparagus stems and celery leaves can be juiced. RFDM: What types of fruits or vegetables should I juice? Cherie: Nearly all vegetables can be juiced. It's better not to juice most fruit because of the high sugar content. Stick with lower sugar fruit such as lemon, lime, and green apple; use them to flavor and enhance the veggie juice. RFDM: I buy lots of juice from the store, so why do I have to go through all the trouble of juicing fresh fruits and vegetables? Cherie: Juice in containers, by law, has to be pasteurized. The pasteurization process kills vitamins and enzymes along with biophotons. Store-bought juice offers very little nutrition. RFDM: Can I live on juice alone? Is this a good idea? Cherie: You can live on juice for fasts, but not forever. Use juice as a complement/supplement to your diet. RFDM: How much juice should I drink? Cherie: From one glass to a quart a day; with 2-3 glasses of green juice, people start to notice a difference. RFDM: Is one of the benefits of juicing weight loss? Cherie: Yes. Thousands of people have reported weight loss by following my program in The Juice Lady's Turbo Diet. RFDM: Is is okay for me to mix fruit and vegetable juices? Cherie: Yes, it's fine to mix them. They are broken down and the nutrients are easily absorbed. 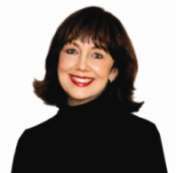 Cherie: Juice feasting is drinking one to two quarts of juice per day and just drinking juice— not eating solid food. RFDM: Could you please share one of your favorite fresh vegetable juice recipe? Juice all together and enjoy! Do you have a favorite fresh vegetable (and/or fruit) juice recipe? Please share it with our readers here. Thank you! 1 cucumber 4 stalks of celery For sweeting you can add 2 Granny Smith apples. Take the ingredinets and juice them together.